Our products | Clôtures Frontenac Inc. Our products | Clôtures Frontenac Inc. 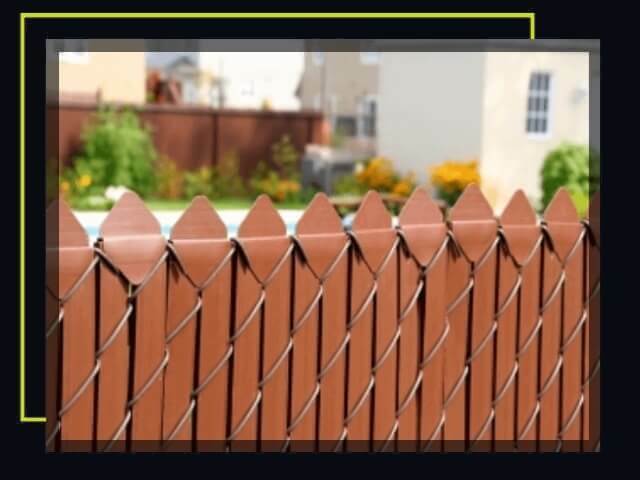 The ornamental fence is a pledge on elegance! Products of quality and especially maintenance free. We offer a quality service superior to the market! Come and meet us at one of our beautiful showroom in Terrebonne or Gatineau. Our Salespersons will be please to help you with your project. Whether it is small, medium or large, you will always be served the same way! The glass fence is a pledge on elegance! Products of quality and especially maintenance free. We offer a quality service superior to the market! Come and meet us at one of our beautiful showroom in Terrebonne or Gatineau. Our Salespersons will be please to help you with your project. Whether it is small, medium or large, you will always be served the same way! Aluminium railings are maintenance free! 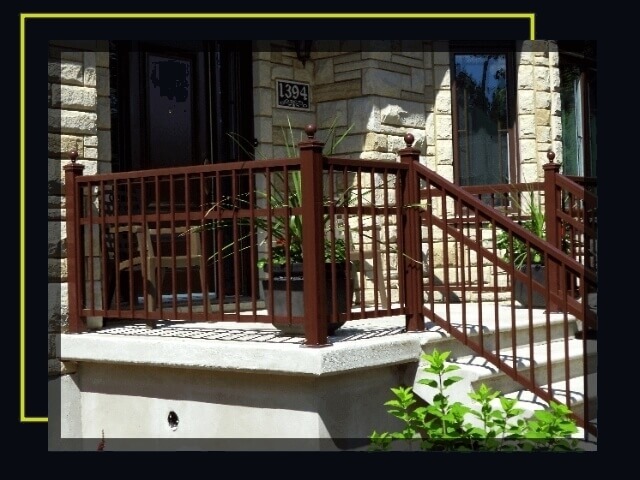 We have been manufacturing railing for several years. 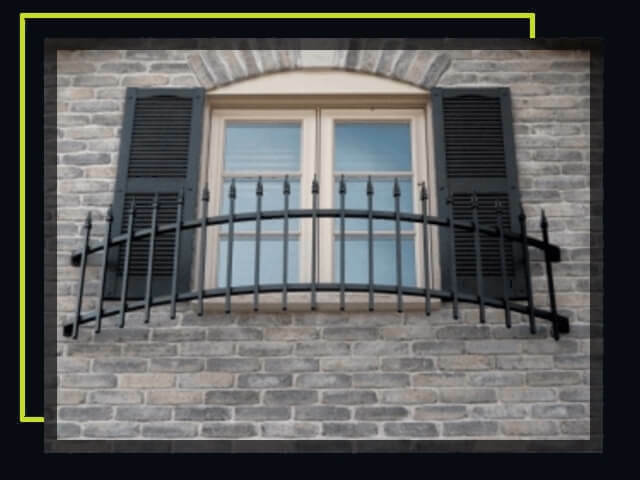 It will be a pleasure to advise you in your project for your balcony railing. 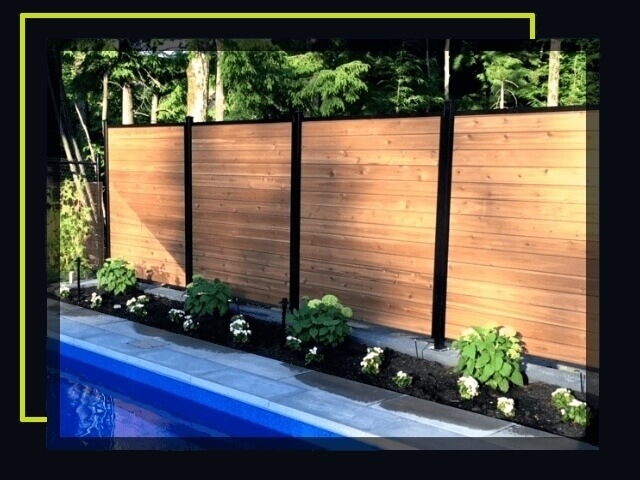 Cedar fence model available with aluminium post and contour! Come and meet us for more information on this product. 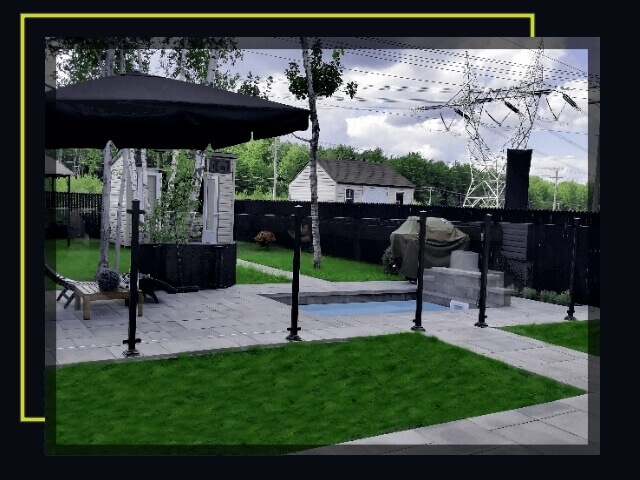 You wish for more intimacy in your backyard? You are at the right place! In inventory! Several different models. 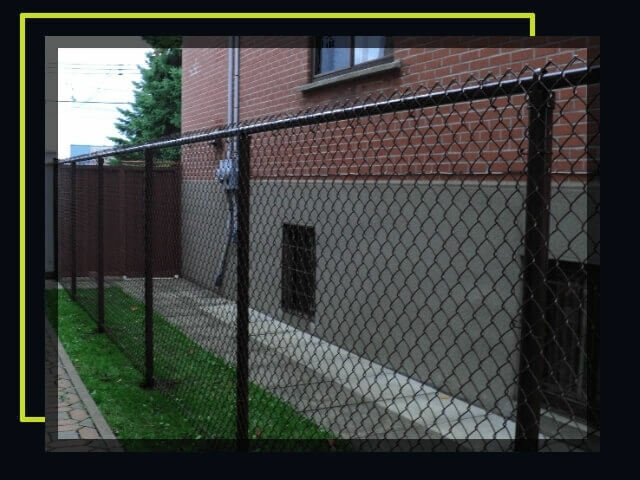 Easy to install, maintenance free, winter resisting and 10 years warranty. The frost fence also called: chain link. 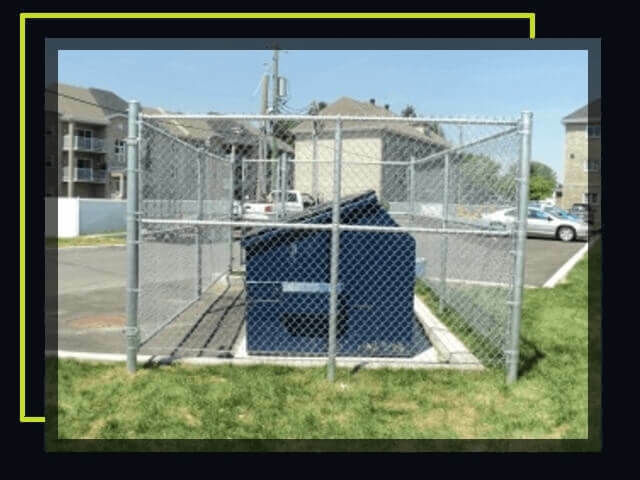 This fence is resistant for our weather. It is ideal for the contour of houses! Need a decorative portal for your house, your cottage? 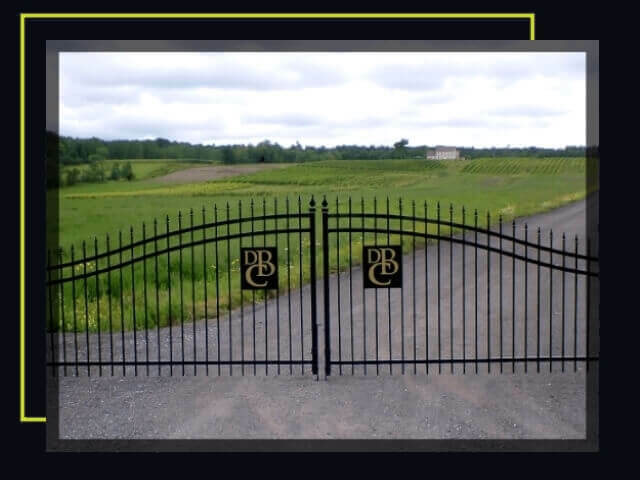 Come and see us, we can make different size portal for you. You wish to undertake your fence work yourself? Then choose the option: Do it yourself! You will save up to 30% of the final invoice! Need some style for your entrance? 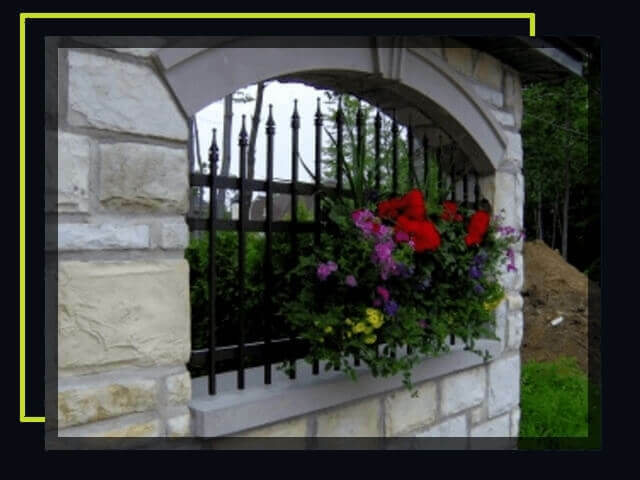 We have lovely arbor to embellish your backyard entrance. Need a decoration for your window? Try one of our Juliet. 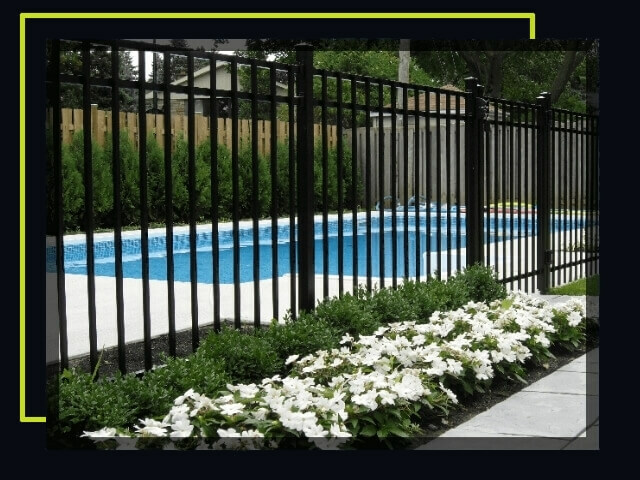 Commercial fence available at Clôtures Frontenac inc! Need a quote? Go to our quote page.